For more information on the chemical resistance of our products, you can consult our chemical resistance table or contact our technical department. A product of the chemical industry, the main quality of thermoplastics is their excellent resistance to corrosion. 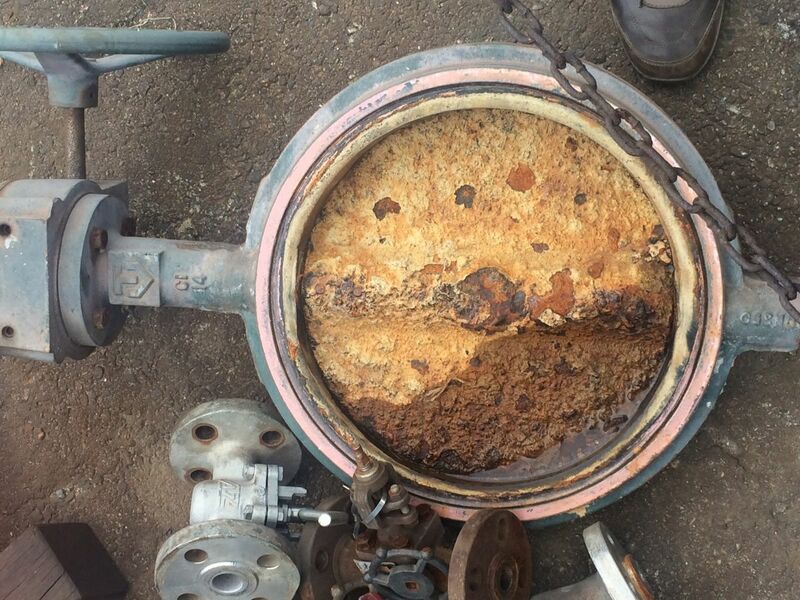 Whether a solvent, an acid-base reaction or a redox, the classic thermoplastics in valves have a much superior resistance than metals, including stainless steels. 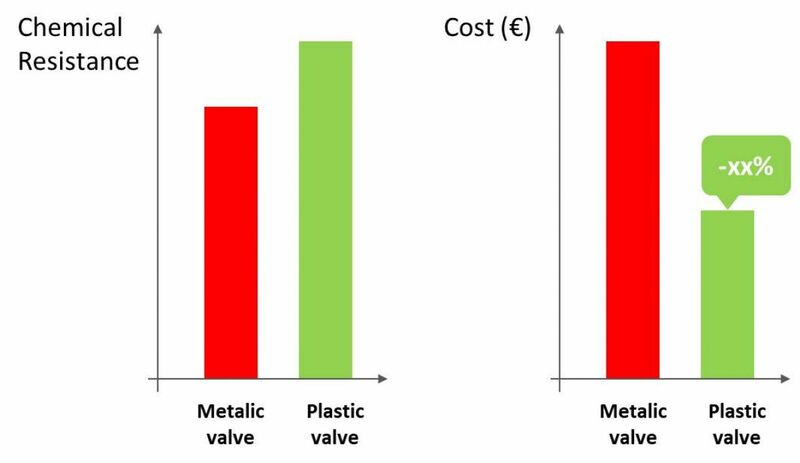 At an equivalent chemical resistance, the plastic valve is much cheaper than its counterpart in metal alloy or coated metal. 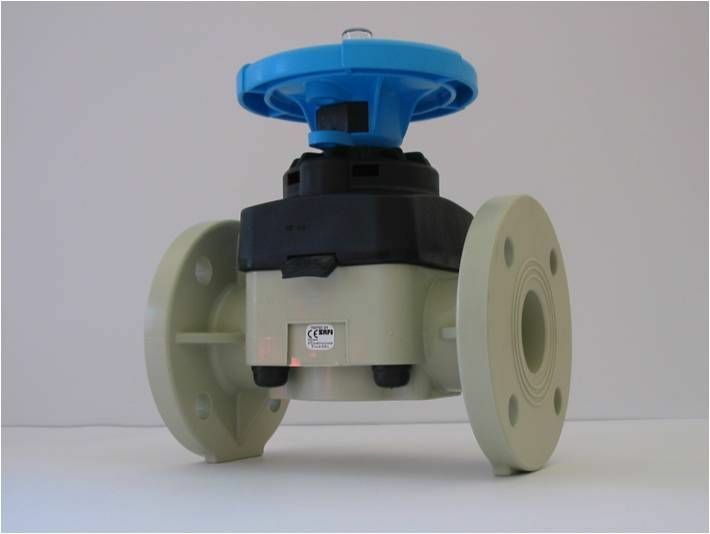 The plastic valve is 4 to 6 times lighter than its metallic counterpart. This facilitates transport, storage, and installation, reducing logistic costs and accident risks. Contrary to popular belief, the thermoplastic materials used in valves have a better resistance to abrasion than metal valves. 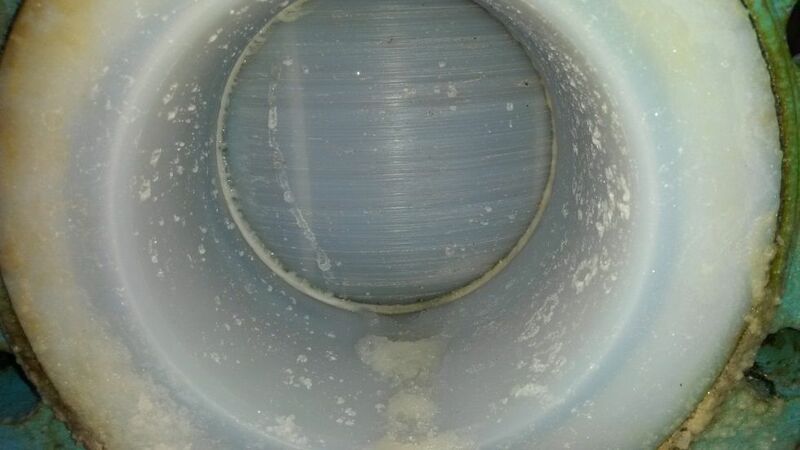 PVDF for example has a 5 to 10 times greater resistance than that of SS 304 and 100 times superior to PTFE. When to consider plastic valves ? All the valves are limited by the mechanical and thermal performance of their materials. It is the same case for plastic valves. 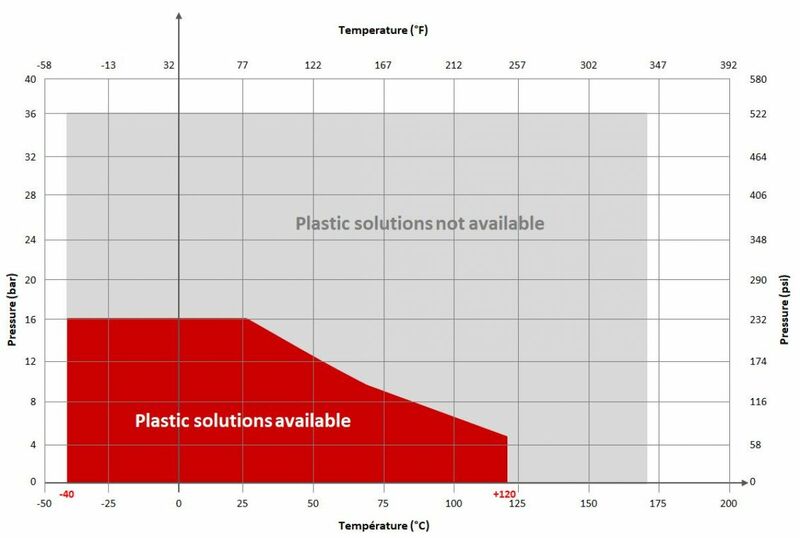 To learn more about thermoplastics, you can consult the following page. The mechanical or thermal resistance depends on the nature of the process and the type of valve used, the following simplified diagram allows us to see at a first glance if a solution in plastic exists.